Business management nowadays is not only related to the management of operational activities and the creation of business structures of development strategies, but increasingly concerns the broadly understood management of finances and tax structures. Conducting business on many markets and in many industries challenges entrepreneurs to the implications of complex solutions in the field of tax law, including regulations resulting from the Corporate Income Tax Act. Taxation of loans within the so-called thin capitalization structure, taxation of dividend payments, contribution in-kind contributions to capital companies, classification of tax deductible costs are just some of the important issues faced by many companies on a daily basis. Extensive provisions of the VAT Act and rich and often contradictory jurisprudence of administrative courts cause that solutions applied by entrepreneurs are sometimes based on ambiguous interpretations of the provisions of the VAT Act. VAT generates almost 70% of tax revenues to the state budget, therefore its proper application is repeatedly subject to audits by tax offices and tax control offices. 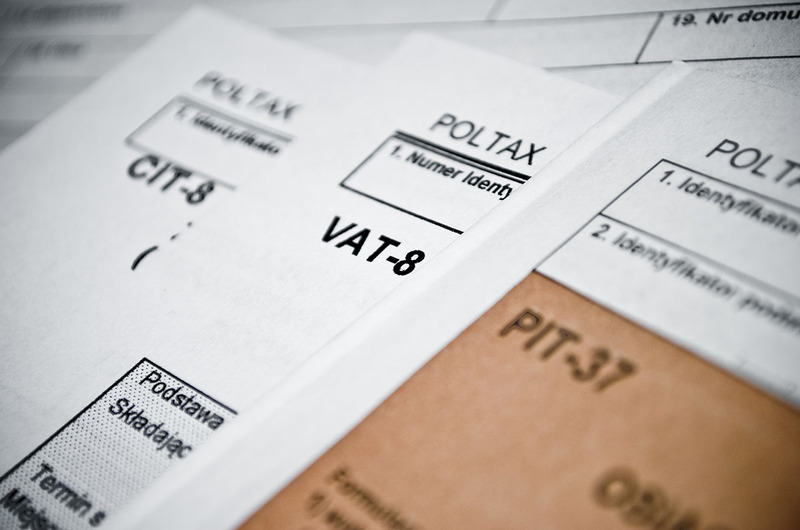 The complexity of economic processes creates unexpected problems in VAT settlements by many taxpayers. The proper application of the existing Polish legal standards and Directive 2006/112/EC of 28 November 2006 on the common system of value added tax, together with access to a unique database covering European case law, allows many Taxperience clients to focus on their current business activity. Personal income tax is usually associated with the annual income statement and with the activity of natural persons conducting business activity. Therefore, many companies (commercial law companies) underestimate the importance of optimization of PIT solutions for their operations. Savings concerning, among other things, proper recognition of the cost base for persons employed under a work contract, for persons performing their duties under the so-called managerial contracts or optimal settlement of employment of persons sent to work abroad are just some of the areas which allow to obtain many tax savings. Economic globalisation in the world means both increased freedom of movement of goods and the creation of new branches/plants of multinational companies, as well as the need to settle tax liabilities according to many tax jurisdictions. Special legal conditions, including regulations contained in the OECD Model Convention, international agreements on the avoidance of double taxation, regulations preventing the avoidance of taxation (including sham, look-through approach, exclusion approach) create a number of possibilities to apply extensive tax optimization structures. The main objective of any company is to maximise profit. Operating in increasingly difficult markets, they benefit from the help of many consulting companies, including accountants and financial ones. Each company is subject to many laws, including the Accounting Act, the Commercial Companies Code and the Corporate Income Tax Act, which impose reporting and registration obligations. Each ending financial and tax year is connected with the obligation to approve the financial statements together with their submission to the appropriate tax office and the National Court Register. Before approving the financial statements, it is advisable to carry out a verification of economic events in terms of the characteristics of tax settlements. Tax audits covering the control of accounting, financial and tax operations are an extremely important element of tax and accounting security of the company. On the other hand, they present recommendations together with an appropriate projection of optimization of tax liabilities in the future. The operational activities of companies closely related to the aspects of tax settlements often lead to doubts as to the application of an appropriate tax policy tool. This results in tax decisions issued by tax authorities and tax control offices, which result in either additional tax liabilities or a disturbance of the company’s financial liquidity. In such cases it seems necessary to provide assistance at the stage of tax proceedings or before administrative courts (WSA and NSA). Taxperience provides comprehensive legal services for companies with respect to tax issues at every stage of proceedings. Our knowledge and experience in tax and court disputes of Taxonity specialists allows us to offer services at the highest level of substantive service. Interdisciplinary knowledge of our team of tax and court proceedings guarantees high quality of the services offered, often allowing us to win cases already at the first instance stage (WSA). Court proceedings are particularly exposed to the risk of failure caused by ignorance of the administrative court proceedings procedures contained in the Act on Administrative Court Proceedings. Only professional assistance of qualified tax advisors guarantees that the proceedings will be conducted in accordance with the standards assigned by law. The processes of merging companies into stronger business entities, taking over existing business partners or competitors forces the management to look for business and tax-efficient solutions. Creation of guidelines for the application of optimal techniques for taxing surplus assets acquired as a result of a merger.